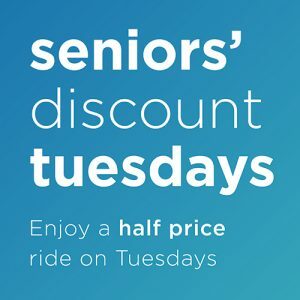 Every Tuesday and Wednesday from 10am until 6pm (weather permitting), we offer a pensioner’s discount off the full ticket price. The discounted ride price is only R75. A valid RSA ID document required. Tickets can only be bought on Tuesdays and Wednesdays at the ticket booth, situated at the entrance of the Cape Wheel. A valid RSA ID document must be shown to make use of the half price ticket deal. This deal is only valid for South African pensioners. 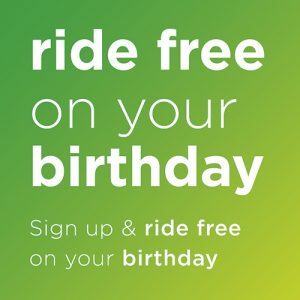 PLUS Happy Snappy will give you a complimentary A3 sized birthday photo when you purchase a photo pack after your ride. You will also receive our monthly newsletter to let you know about any other special deals and events going on. Excludes VIP, Sky Dining and cannot be used in conjunction with any other specials. 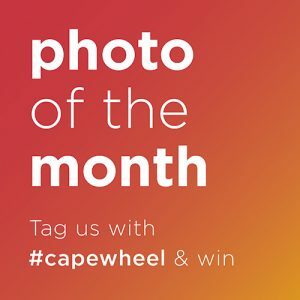 We would love to see your photos of the Cape Wheel. Post them to our Facebook page or Instagram #capewheel. Every month end we will choose a winner, the pictures can be professional or just-for-fun. You may share as many photos as you like. The monthly prize is a ride in the VIP gondola for you and 3 friends. Winner will be announced on Facebook and the winning picture will be displayed in our Facebook home page banner. Please read our Photo of the Month competition rules. Come collect a picnic basket and go fill it with your favourite goodies. 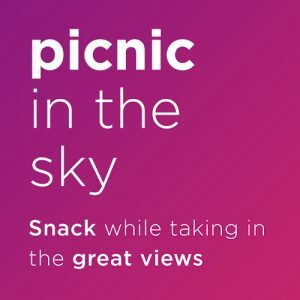 We will pop a table in your gondola for convenience and extend your ride to double the length of your ride so you have time to snack while taking in the views. When you arrive at the Cape Wheel pay for your ticket and collect a picnic basket (1 basket per 2 people). Go to the V&A Food Market, or any of your favourite stores, where you can select and pay for your delicious goodies. When you return with your picnic, and board your cabin, there will be a picnic table for your convenience. The ticket prices are: R260 per adult and R120 per child – this is an extended ride of 30minutes (double the normal ride). The price of the ticket does not include your food. Enjoy your picnic and the views while you ride. When the ride is over please leave your basket when you disembark. 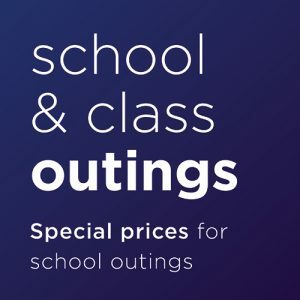 We offer reduced prices for all pre-booked school outings.